Chinese importer Sheshan59 and Business Strategies, internationalization society based in Florence, announced at Vinitaly an exclusive agreement for the promotion and sale of Italian wine in China. 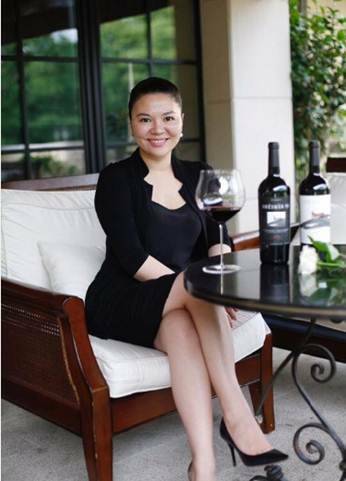 Directed by Audrey Shen, Sheshan59 is a major intermediary firm based in Shanghai for trade in wines that, until now, has worked - thanks to its brand WinetoChina - with French producers by putting them in contact with more than 500 importers and distributors throughout the Republic of China. For Silvana Ballotta, Business Strategies Ceo: "This agreement allows us to give a timely, safe and convenient answer to the growing interest of Chinese consumers. With Sheshan59 we can make a matching between the price demands, range and type of Chinese demand and the extraordinary offer that our wine companies are providing them with a targeted access channel to this market". “I approached Business Strategies -said Audrey Shen-, after attending one of their promotional roadshow in some 2nd and 3rd level Chinese cities. The enthusiasm I saw in Chinese importers and distributors for the Italian wine convinced me to extend Sheshan59 mission to Made in Italy, with the aim of replicating the good experience - and numbers – of French wine. The online channel can work when you trade universally known brands, but in the case of wine it is important that the sale is mediated and safe, away from the risk of counterfeiting and the danger of devaluing the brand".